FREE RUG UNDERLAY WITH THIS RUG! 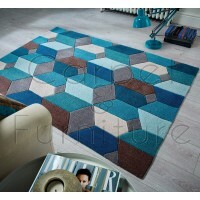 Our Sierra Apollo rugs are a simple bordered design that suits both modern and traditional decors. These rugs are tufted by hand in India from a 100% wool pile. The design is then carved into the pile by hand and the edges are hand knotted. Apollo has a heavy weight and luxurious pile bringing warmth and comfort to your room.